While cardiovascular disease may be top-of-mind in February during American Heart Month, any time is the right time for women to learn more about what has been deemed their number one killer. 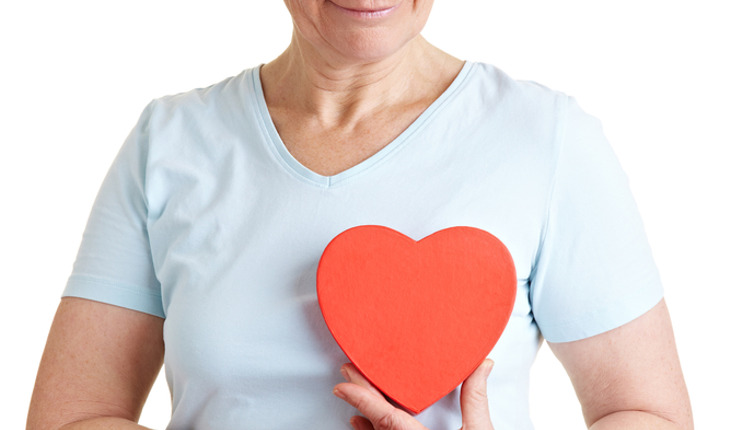 More deadly than all forms of cancer combined, cardiovascular disease affects approximately 44 million women in the US. Along with stroke, it can be blamed for one in three women’s deaths each year, claiming one woman every 80 seconds. Given these alarming statistics, you’d think the female population would be savvy about what causes heart attacks and strokes, and what can be done to prevent them. That might not necessarily be the case. Here are some commonly asked questions along with my responses. Q: How do I know that I might be having a heart attack? A: Unlike in men, heart attacks in women may not be heralded by chest pain, pressure or discomfort. Less-traumatic but equally concerning symptoms for women include shortness of breath, intense fatigue, indigestion, upper back discomfort etc. What’s especially frightening is that some ladies exhibit no symptoms at all. Q: What are some things I can do from a lifestyle perspective to help prevent heart disease? A: For optimal heart health, I advise my female patients to live an active, balanced lifestyle – which positively impacts their overall well-being as well. Exercise regularly, striving for a good combination of cardiovascular, strength training and stretching activities. But I advise my patients to exercise only if I am sure that it is safe. Sometimes I request stress test before advising my patient to go to a gym. Just as important as how much you move is what you eat. Think raw, as much as your body will allow, establishing a solid nutritional foundation of fresh fruits and vegetables, omega-3-rich fatty fish, and lean protein from organic sources. Q: Is a glass of wine good for my heart? A: While some people suggest that the polyphenol resveratrol in red wine is heart healthy, I do not think that the rule of “all things in moderation” still applies. It’s not fine to relax with a glass of wine at the end of a busy day, and of course excessive alcohol use should be avoided. In my opinion there is no such thing as a safe dose of poison. Also eliminate smoking and recreational drug use, as those unhealthy habits add nothing – except to increase the likelihood of other health complications. Q: How does cholesterol factor in? A: Functional medicine suggests that you look below the surface to find out what underlying factors may have spiked your LDL levels to begin with. When there’s any type of inflammation in the gums, teeth, sinus cavity or digestive system, the body triggers the cortisol hormone to get everything back in balance. Cortisol comes from cholesterol – the more inflammation, the more cholesterol is needed to provide cortisol. Once you address the inflammation, the root cause, your concerns might become manageable. Q: Are there certain nutrients I need for a healthy heart? A: While they’re all essential for peak performance, there are certain key vitamins and minerals that have a more significant impact on the heart. There is a theory that a vitamin C deficiency, for example, may cause holes in connective tissue in the vessels including heart vessels that the body will automatically fill with cholesterol – once again, increasing the likelihood of a cardiovascular event. The dynamic duo of vitamin D and vitamin K could give you support to prevent calcifications in the aortic valve that could otherwise lead to heart failure. Q: As women, do our hormones factor in as well? A: As we age, estrogen, testosterone and progesterone hormone levels decrease, resulting in a hormonal imbalance that can adversely impact numerous bodily functions – including our hearts. To get support to get back in balance, I recommend my patients get appropriate amounts of iodide, selenium, zinc and magnesium through diet and supplements, and also consider bioidentical hormones administered by a trained professional. And you should remember that this is for information purposes only and should not be considered as a medical advice. Sergey Kalitenko MD is a holistic practitioner, Board Certified in Internal Medicine. He has two practices located in Great Neck, Long Island and Brooklyn. Dr. Kalitenko opened his private practice in 2001. His medical practice is based on the principles of holistic, functional medicine as well as age management principles. Bioidentical hormone replacement therapy is a keystone of his practice. He is firmly committed to finding natural solutions to health problems—and his first step is to use his expert diagnostic skills to get to the root of the problem. Dr. Kalitenko’s philosophy is that of wellness, not illness. For more information go to www.kalitenko.com.